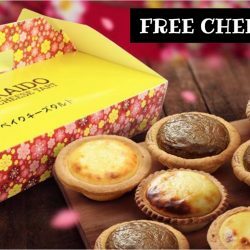 Hokkaido Baked Cheese Tart: Flash Screenshot for a FREE Original Cheese Tart at Changi City Point on 24 March 2017! 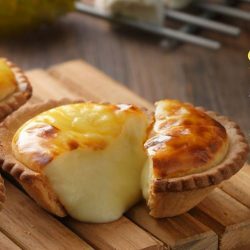 Hokkaido Baked Cheese Tart is bringing the cheesy factor to you at Changi City Point! All you got to do is to LIKE their post and flash the perfect screenshot of the Heroic Super Tarts in action. Head down to their branch at Changi City Point on 24th March 2017 from 12pm – 3pm and one FREE original cheese tart is all yours! Limited to one FREE tart for one person, one device only. Heads up Singapore! Hokkaido Baked Cheese Tart is launching their newest Durian flavour at Jurong Point, B1-K2 (near OCBC Bank)! Buy 1 and get 1 FREE Durian Cheese Tart from 12pm – 5pm on 18th February 2017 in just 3 easy steps! Get the voucher now!